The most scenic side of winter. Sölden. Ski and winter sports paradise in the Alps. Crackling snow under your feet, endless happiness in winter boots. Great expectations for a sporty day in the Alps. Expectations Sölden can exceed easily as the area has some 250 summits beyond three thousand meters altitude. Marvel at the fabulous scenery. The winter sports area covers no less than 432 hectares of skiable terrain - just perfect for Alpine skiers, snowboarders, families and off-piste fans. 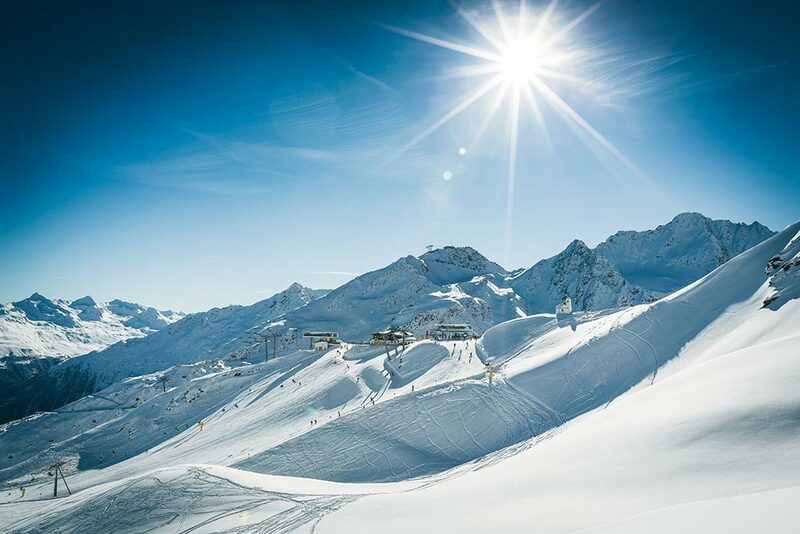 In addition to immaculate ski slopes you are spoilt for choice with fine powder snow slopes, snow parks and fun-filled winter competitions: Sölden - a superlative ski dorado for demanding winter sport enthusiasts. Try a new highlight now: your room keycard is your ski ticket for the most outstanding winter holiday in Ötztal. You need a single card that gives access to boundless holiday pleasures in the fantastic Ötztal Alps. From the colorful ski slopes right to your cozy winter retreat. When a fun-packed day in the mountains comes to an end and the ski lifts are already closed, fine relaxation is guaranteed in our Canadian log cabins from the first day of your winter holiday in Sölden. Enjoy a soothing sauna session and relax tense muscles. Treat yourself to a professional massageor simply spend an evening among friends. 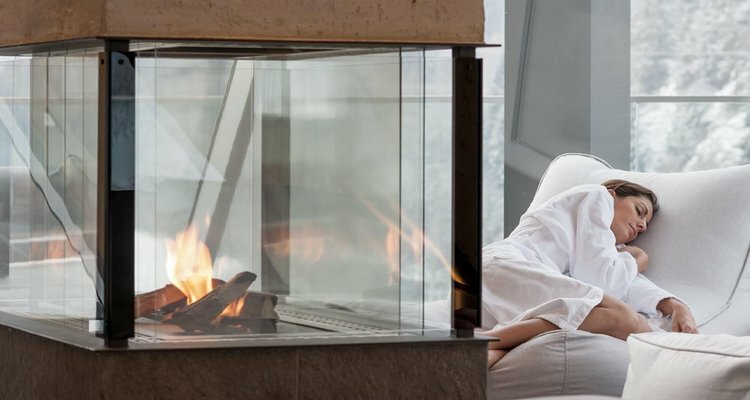 Wonderful 4 Star winter luxury in a very charming atmosphere during your winter vacation in Sölden. If you are still not tired enough we strongly recommend you to explore the countless restaurants, bars and hip après-ski locations in Sölden by night – at only 10 walking minutes. Of course we would be glad to organize an exclusive evening or a dinner at the restaurant where typical Tirolean specialties are served. Fondue evenings, jovial hut nights and night tobogganing events assure the most romantic moments high above Sölden. Ask at the reception desk and be enchanted by the wide range of possibilities. The world seen from above. Sölden's ski area ranks among the most impressive of its kind in the Alps. It has become a cult hot spot: quite rightly - we think! 434 hectares of superb skiable terrain plus a full range of splendid winter attractions are hard to top. The right time for a rest stop. There is nothing more delicious than a scrambled pancake served on a quaint mountain hut. 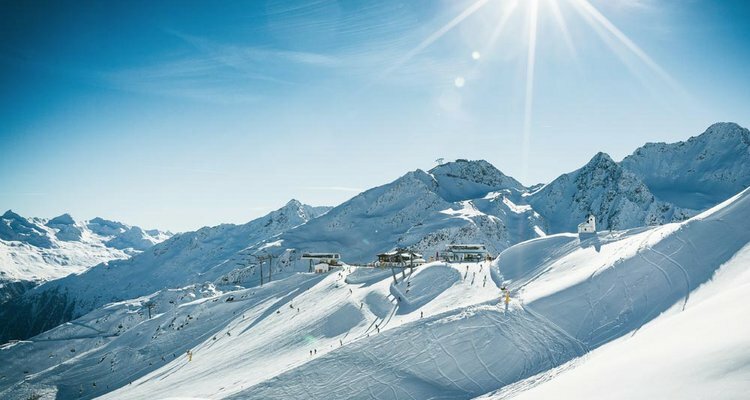 Sölden's ski area boasts 33 ski huts and inns offering everything you could possibly dream of: hearty snacks, typical specialties or fine culinary delights. Two glacier ski mountains, 37 immaculate slope kilometers in the eternal ice and only one intention: passionate skiing fans get together on fascinating glacier fields. 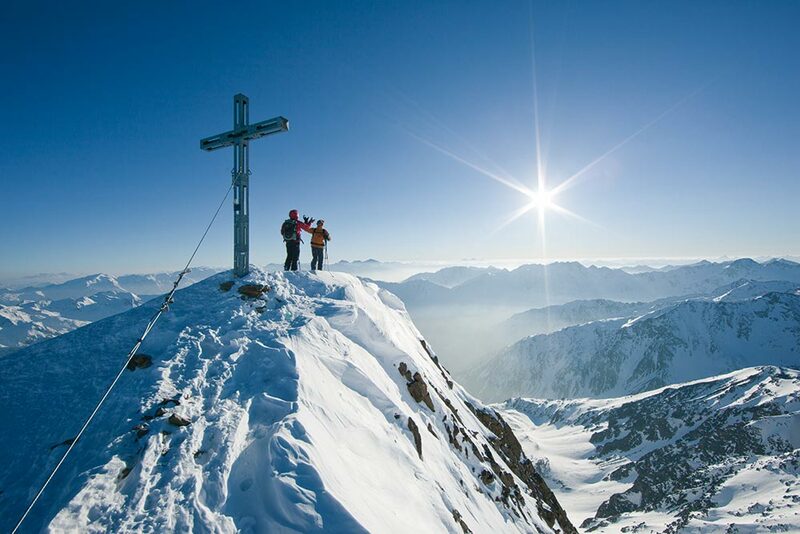 Tirol's one and only linked glacier ski area. 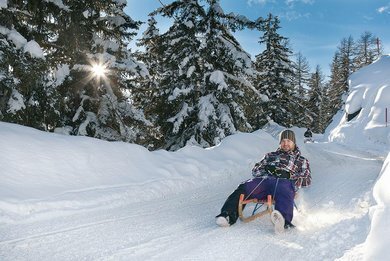 Enjoy the full variety of winter sports also off the beaten ski slopes - Magnificent ski mountaineering, snowshoe hiking, cross-country skiing or fun-packed tobogganing in Sölden. Winter. By day & night. Not all the ski lifts close at night. Every Wednesday evening, one of the superb ski slopes remains open longer than normal – romantic night skiing on the floodlit piste is scheduled, followed by a jovial refreshment stop in the restaurant and a great firework display. If you don't want to wait until Wednesday evening, there are toboggan runs which are illuminated every day. Action-filled downhill adventures are guaranteed! 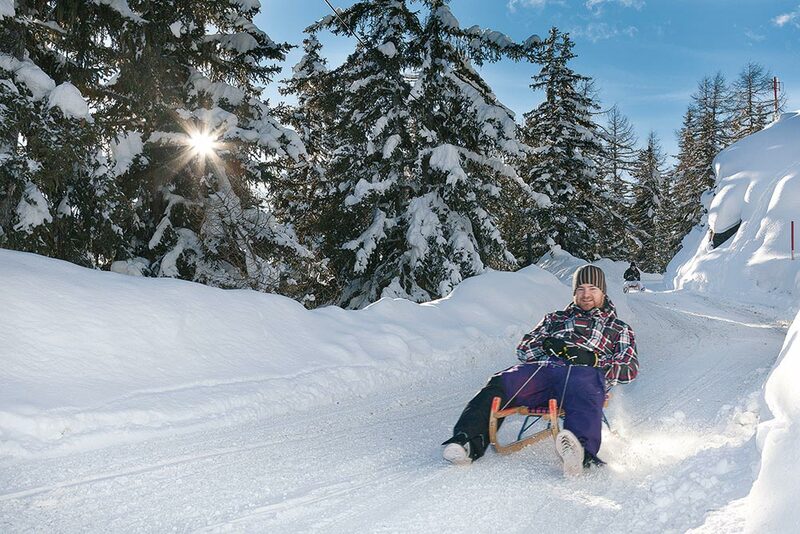 No matter how you enjoy a scenic winter holiday in Sölden - either on skis, on a snowboard or toboggan - you will discover all exciting facets of the winter in Tirol.